For Carnival Cruise Lines, Holland America Line, Princes Cruises, P&O Cruises, Costa, Virgin Voyages, Marella, Norwegian Cruise Line, Azura Cruises, Aida and Cunard Ocean Line passengers arriving at Amber Cove in the Dominican Republic! Just a short 15 minute drive from port and you'll arrive to the first activity. 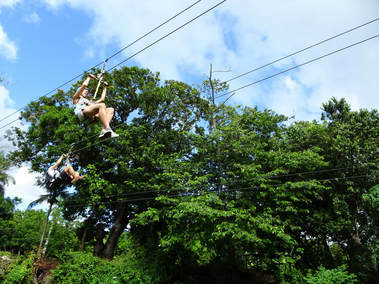 Enjoy 8 ACCT certified zip lines totaling more than 7,900 feet (1.5 miles) on 2 double, galvanized steel cables. No experience is required. 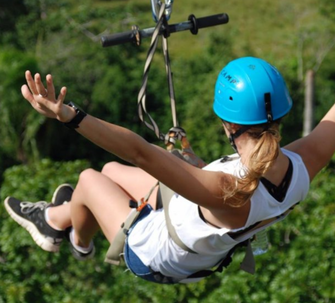 Unlike many zip line parks, you are not involved in any active braking for stopping. The guides do the work and you enjoy the ride. Small children can zip with their parents or one of the guides. Bottled water included. 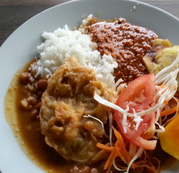 After working up an appetite zipping enjoy an authentic Dominican lunch buffet including rice, beans, chicken or beef, fried sweet potatoes and yucca,vegetables, tropical fruits and more (Vegetarian Friendly). 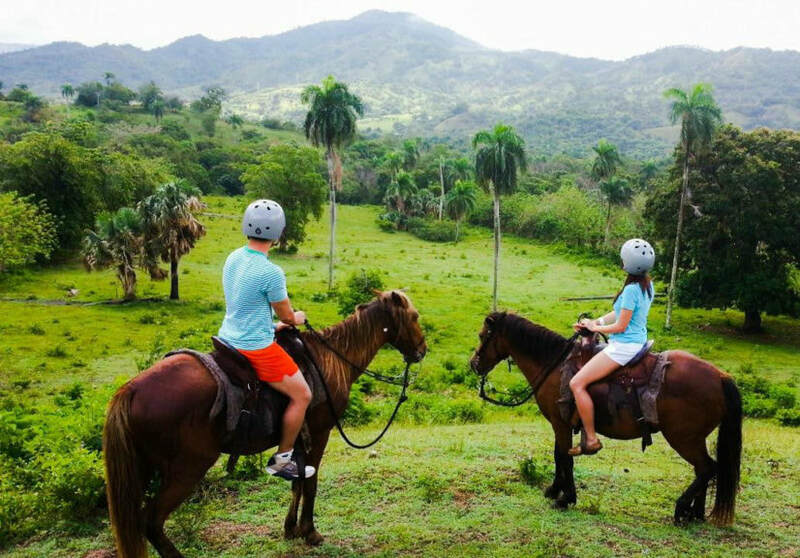 Then we'll saddle up and ride through the beautiful countryside you just zipped over! 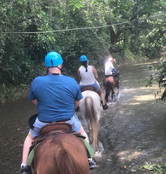 The horseback ride included in this package is meant to be for beginners and children as well. We take the time to provide full basic riding instructions to our customers. Depending on riding skills and experience, the right horse will be found for everybody. After the ride a quick walk through the botanical garden and we return you to port. No experience required. Minimum age 3. Not recommended for pregnant women and participants with heart complaints, back problems, walking disabilities, etc. Activity takes approximately 4 hours plus transportation time.